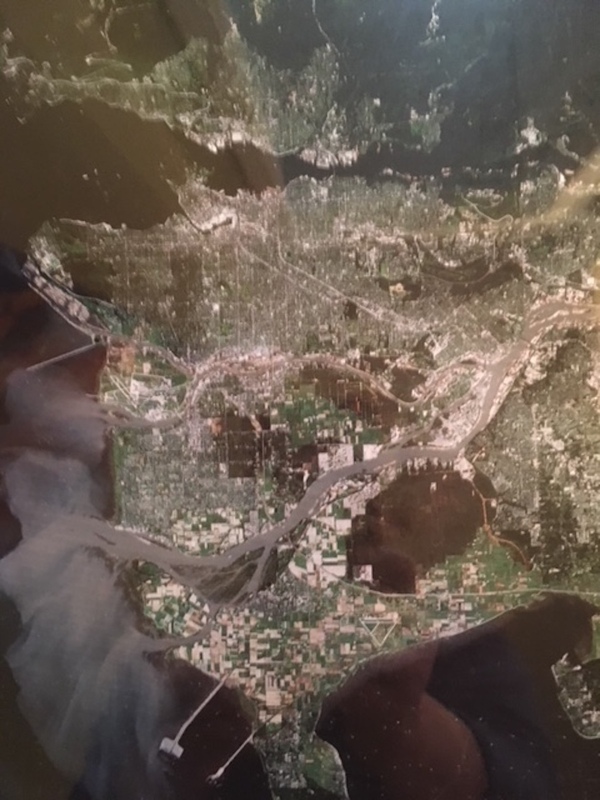 LANDSAT TM image of Vancouver, January 1985. WAY BACK in 1986, satellite images from space were still relatively new and unique. Living in Vancouver at the time, I purchased a view from space of Greater Vancouver. It was neat to be able to pick out the individual streets and houses, and landmarks like the then newly constructed B.C. Place. Back in 1986, the vast majority of land in Vancouver was taken up by single family homes. Fast forward more than 30 years, and I still have that image. Most striking after all these years is how little Vancouver has changed. Certainly there are more high-rise apartment buildings along False Creek and Coal Harbour. And the suburbs have grown considerably. But from University of B.C. to the west to Burnaby at Boundary Street to the east, the vast majority of land in Vancouver is still taken up by the same single family residential lots. Vancouver has some of the most expensive real estate in the world. Yet the majority of their land use hasn’t changed in 30 years. The number and size of single family lots in Vancouver has been almost fixed for the last 30 years, while demand keeps going up. While more and more people want a single family house, on a fee simple lot, the supply has remained stagnate. For 30 years, the Vancouver City council has preserved the status quo rather than finding ways to creatively increase the number of single family lots and other fee simple housing. There are many factors in today’s staggering housing costs in Vancouver, but one thing is clear. For 30 years, a fixed supply, and ever increasing demand has contributed to the ever-rising prices to the point where Vancouverites can no longer afford to live in their own city. For 30 years, the Vancouver City council put the interests of owners of single family homes, who wanted as little change as possible, ahead of others. Now owners of single family homes are reaping million dollar bonanzas while renters, students, young workers, new arrivals to the city, and homeless all pay the price. Now let’s look at Kamloops. Kamloops is not far behind Vancouver. Within Kamloops city limits, the amount of bare land available for new construction is already scarce. Once bare land runs out, land costs will rise considerably, and the housing costs in Kamloops will climb and climb. Last month, Kamloops City council approved a new official community plan. The plan talks about finding creative ways of increasing housing options in Kamloops. That’s a good first step. But now, what is needed is specific zoning requirements. There will always be a demand for single family homes. What Kamloops needs is zoning and land use policies that support smaller lot sizes and promote subdividing more existing parcels. Without creating smaller lots for single family homes, Kamloops will face the same issues as Vancouver. Currently, the smallest lot allowed for new builds is 370 m² (about 4000 ft²). Kamloops needs smaller housing lot options. Walk around some of the older neighborhoods on the Northshore like the McDonald Park neighborhood built before zoning requirements and you’ll see a lot of pre-existing lots smaller than 370m². These older neighborhoods show us that small houses on small lots are viable, and in demand by many. If older neighborhoods with small lots are in demand, new subdivisions would be too. 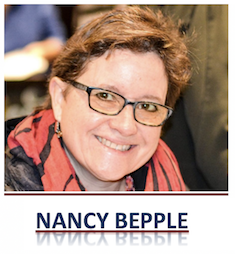 There are many ways to create smaller fee-simple lots. All over Kamloops, there are corner lots that could easily be subdivided. There are also a number of lots on both a front and back street that could be split. Panhandle lots give access to a rear lot, sitting behind a street-facing lot, by way of a “panhandle” driveway. Panhandle lots help create new building lots in neighborhoods with traditionally large lots like Brocklehurst and Westsyde. There are many ways to create smaller lots within existing neighborhoods. The challenge is not making smaller lots. The challenge is, and will be, having a City council that is willing to change the fabric of single family house neighborhoods. The challenge is having a City council which will look favourably at creating single family lots smaller than 370 m2. Council also needs to favor subdividing lots within existing neighborhoods. The challenge is having Kamloops City council redefine what a single family neighborhood is, to be smaller, more compact houses on smaller lots. For 30 years, City of Vancouver was unwilling to change. Now, their single family housing market is completely out of balance. Starting now, Kamloops City council needs to take a different path and create more zoning options for housing. Some of the best options are allowing smaller lots and supporting more types of subdivisions in existing neighborhoods. Here’s hoping 30 years from now, Kamloops avoids Vancouver’s current housing crisis. This is an excellent analysis. People might protest and complain, but you propose a very forward-looking idea. In 30 years, we will see if Council of 2018 has vision. Increased density will have a lot of unintended consequences.